1. Students currently studying for a first degree, Master's or PhD in statistics or related subjects. 2. Graduates whose last qualification in statistics or related subjects (whether first degree, Master's or PhD) was not more than five years ago. Successful submissions from past years were based on original analyses, produced specifically for the competition. This does take work, but it often results in a unique and compelling article. For example, last year’s winner, Letisha Smith, scraped online recipes and used clustering algorithms to group together foods with similar ingredients to help streamline meal plans and reduce food waste. The year before that, Kevin Lin analysed user activity on the social media site Reddit to investigate whether young people were becoming more engaged with political news and topics. You might also write about work you have done as part of your studies or during your career. However, if these articles draw on previously published work, you must ensure that the competition submission is sufficiently different in terms of style and structure. Remember, Significance is a magazine, not an academic journal. 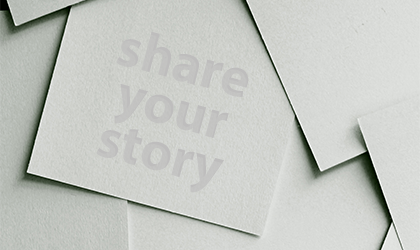 We recommend you read articles from past winners and finalists to get a sense of the style of writing and storytelling that judges are looking for. On 10 April 2019 we hosted a webinar to share tips and advice on crafting an award-worthy article. For a recap of the webinar's content, download speaker presentations from Significance editor Brian Tarran and 2018 award winner Letisha Smith. The competition is open until 27 May 2019. 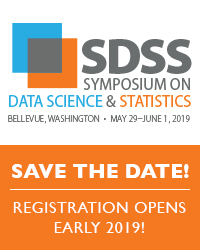 Three finalists will be selected in June, with the winner announced in July at the RSS Statistical Excellence Awards ceremony. 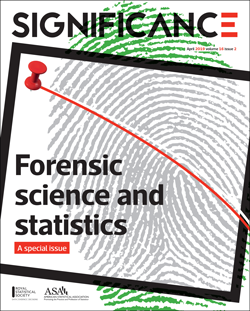 The winning article will be published in the October issue of Significance and online at significancemagazine.com. Runners-up may also be published online or in print at the editor’s discretion. Finalists will be invited to give presentations based on their articles at a special session of the RSS International Conference (2–5 September 2019 in Belfast). Entrants must be either (1) students currently studying for a first degree, Master's or PhD in statistics or related subjects, or (2) graduates whose last qualification in statistics or related subjects (whether first degree, Master's or PhD) was not more than five years ago. Articles must be between 1,500 and 2,500 words in length, and can include tables and figures – though, for space reasons, there should be no more than five tables/figures in total. End references are encouraged but should be limited to five. Footnotes must not be used. Manuscripts must be original and not under consideration for publication elsewhere. You may submit articles based on work in theses or in papers that have been submitted to, or accepted by, academic journals, provided that the competition submission is sufficiently different in style and structure. Three finalists will win a full registration to the 2019 Royal Statistical Society International Conference in Belfast. Please note that travel and accommodation costs will not be covered. Runner-up articles may be published on the Significance website or in Significance magazine at the editor’s discretion.